I usually make a small batch of four financiers, baked in a regular muffin tin, and that requires 3 egg whites to start with. It's a great use for egg whites after making ice cream! Ground nuts, usually almonds, is a key part of the recipe. Here, I used toasted cashews and I use my little mini processor to blitz it up. Keep stirring and the brown butter will eventually fully incorporate with the rest of the ingredients into this batter. These are a nice make-ahead, as the batter can be refrigerated for up to 3 days before baking. Even though they disappear quickly from my plate, they always feel like such a treat for breakfast. Using a wooden spoon, mix sugar and the ground cashews together in a large saucepan. Stir in the egg whites and place the pan over low heat. Stirring constantly, warm the mixture until it turns runny, slightly white in color, and feels hot to the touch, about 2-3 minutes. Remove the pan from the heat. Stir in flour. Then gradually stir in the browned butter until incorporated. Preheat oven to 400 degrees. Coat 4 cups of a standard size muffin tin with baking spray. Fill each cup using an ice cream scoop. [If using optional filling, fill a cup about 2/3 of the way, add a teaspoon or so of jam, then cover with more batter.) Bake until financiers are golden, feel springy to the touch, and the tops have domed and opened up a bit, approximately 12-14 minutes. Turn the financiers out (using a blunt knife if necessary) to cool on a cooling rack. They are best eaten the day they are baked, and even better fresh and slightly warm from the oven. Just cooled to room temperature, the corners are especially crisp. These look and sound awesome! And that filling! I love that you're not afraid to mix it up with this recipe! Your financiers always look so good. That creamy center looks so good to me! I think I make these often enough that I don't mind changing it up! It usually comes out so amazing regardless...but ultimately, the ground almonds with chestnut cream is our fave. These look delicious- the center is awesome! Thanks - I'm sure there are people who might not want that wet center but it's like an automatic self-filling. : ) It's great! Cashews are so buttery and delicious. I was surprised the financiers came out tasting much the same as it is with almonds...so good regardless. Cashews are such a mainstay...I'm happy to use some towards baking. And would you believe I don't even have a true wok! ha! I have tried financiers with many different kinds of nuts, but have yet to try with cashew. These look super, Monica. OMG" That filling just looks and sounds awesomelicious, Monica! Super yummy! Under-baking, if you choose, pretty much makes a natural "filling". Thank you! Hi Monica, I am still pretty new at using nuts to bake with, cashews are one of my favorites though. Can't wait to bake these up for my family.....Take care! I find that I love baked goods with some component of ground nuts with flour. I find pure nut-based cakes too heavy and rich for me almost. Thanks for stopping by, Cheri! The gooey center is totally delish...my family agrees it's the best part so I usually under-bake them a bit. Wow - love them under-baked - that is so smart! I can't believe I haven't tried these yet. Love cashews and love cake so what am I waiting for??? Thank you Monica - I love your passion about these and baking. Have a wonderful (cooler) weekend! 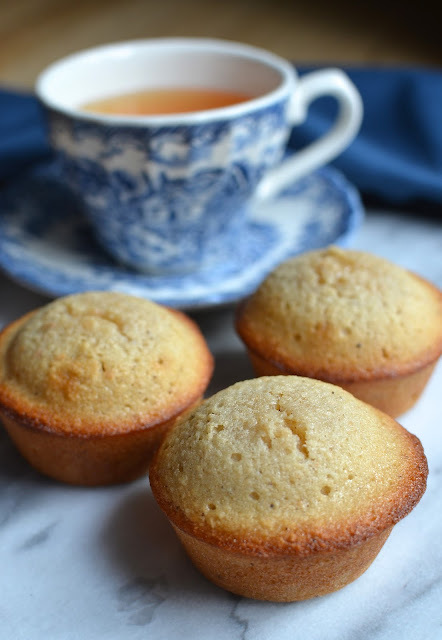 These look like the perfect tea time snack! I've got to remember this recipe for the next time I have extra egg whites (I'm a little addicted to making crème brulee...)! Your recipes and baked good always want to go get into the kitchen and bake it right away. I could have anything with cashews. They are amazing, especially filled with jam and lightly underbaked. I can only imagine biting into the crispy outer party, goeey sweet insides. Absolutely amazing. Hope you are doing well girl, hope the kids are settled in school. Mine have and just a busy few weeks. You described it perfectly, Asha! Totally how they are and taste! : ) I think you'd love it. Things have been busy and interesting the first week back! I think it will settle down in the next week or so. It's going to be a busy, and hopefully very good, year. Hope your kids have a wonderful year ahead!